It has been a while, but we are back and there is no better way to resurface than some dirty Prison Tales with Fleur de Tease. Thse girls make being bad oh so good. Sean K Young is the owner of a New Orleans-based I.T. firm. His creative pursuits are usually in the kitchen or behind the bar, but as of 2012, he is thankful to the New Orleans burlesque scene for a newfound passion. All photos ©Tonya Armbruster and used with express permission by Southern Babylon. Performers may use shots for promotional purposes, but please credit properly with photographer’s full name and a link to this piece in all instances. 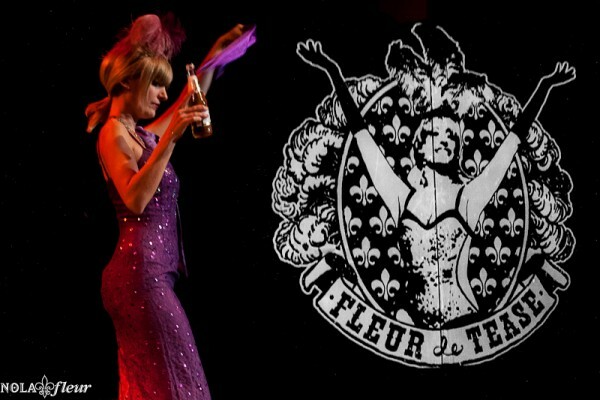 After a summer hiatus the lovelies from Fleur De Tease returned to kick off their seventh season. Saturday night, the Contemporary Arts Center turned up the heat for Bourbon & Burlesque celebrating two of my most beloved pastimes. Fleur de Tease’s sixth season had come to its end and they were going out with a bang. Dancers from far and wide bump ‘n’ grind on stage at the closing night celebration that follows the crowning of the 2012 “Queen of Burlesque”. SlowBurn is famous for their Halloween shows, and I knew this year’s would not disappoint. New Orleans Burlesque Fest, night two, show two. The marathon continues with the Bad Girls of burlesque. New Orleans Burlesque Fest, night number two, show number one. It is a marathon, not a sprint. New Orleans Burlesque Fest was finally here and I was more than a little excited.